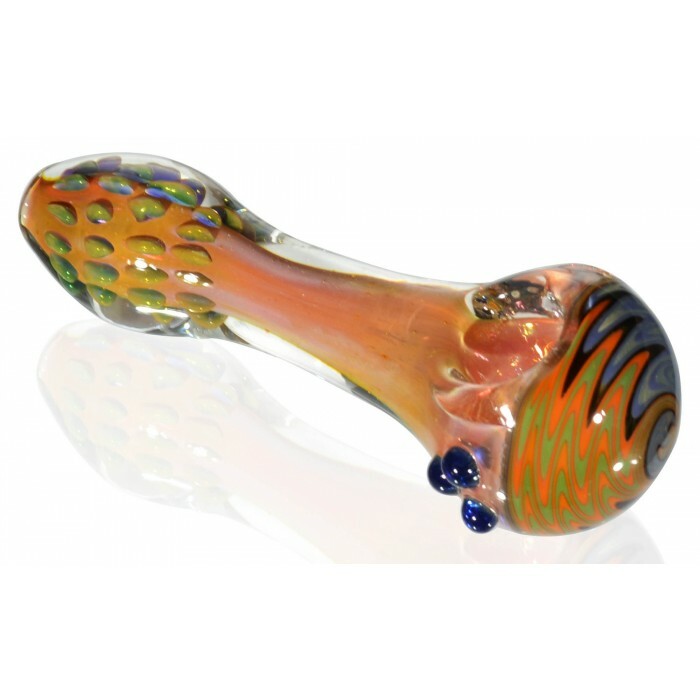 Trippy Hippy - 4.5” Golden Fumed 24 KT Glass Pipe and Wig Wag Bowl -The Greatest Online Smoke Shop! Golden fumed, so the colors change as you smoke it! 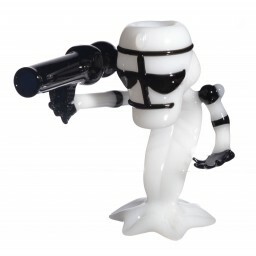 The back of the bowl is covered in a wig wag reversible design, looks dope as you smoke! The front of the bowl, by the mouthpiece, contains a multitude of small bubbles. Three small blue glass bulges protrude from the side of the bowl providing extra grip. 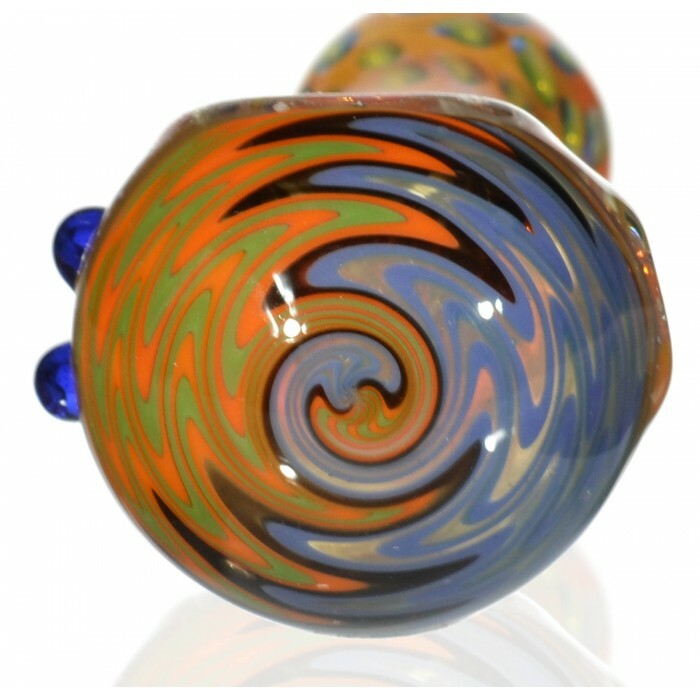 Get trippy with the Trippy Hippy Glass Pipe! 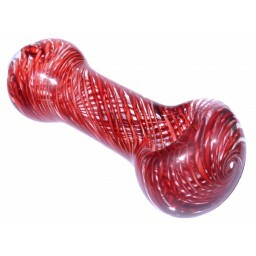 Why settle for a normal bowl, when yours could change color as you smoke? That’s right, this bowl is golden fumed, so the colors morph as it fills with smoke. The coolest part of the piece is its wig wag reversible design that decorates the back of the bowl, watch it as your friend takes a hit! The front of the bowl is awesome too, as small bubbles give the mouthpiece an interesting vibe. 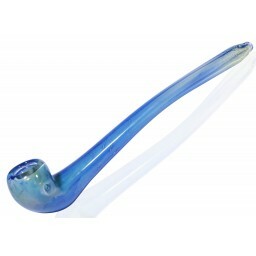 The blue bulges on the side of the bowl don’t just look cool, they provide extra grip as well, keeping the bowl in your hand and off the floors. At 4.5”, this thing is big enough to pack an punch, but small enough to bring with you on-the-go. 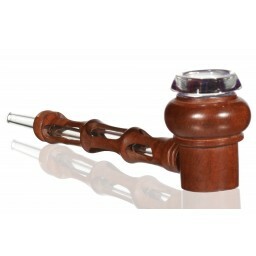 Step up your handpipe game and get the Trippy Hippy now!